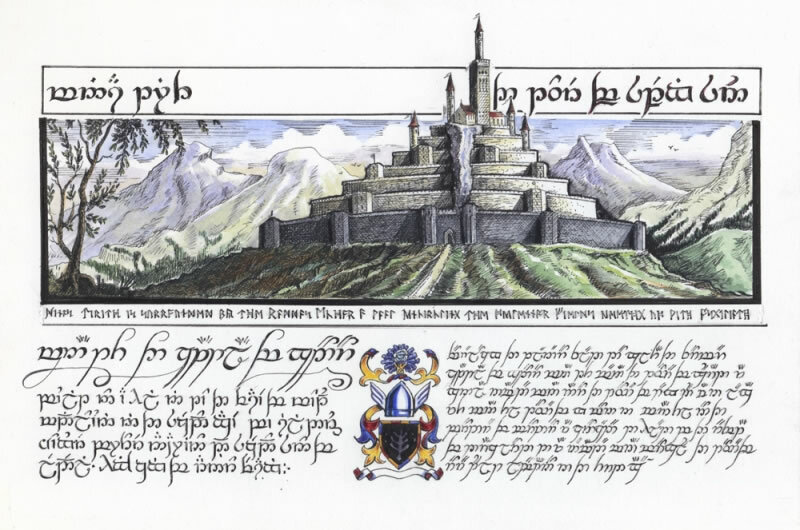 Tolkien described Minas Tirith as built on a hill, called the Hill of Guard, right against the face of Mount Mindolluin. The city looked eastward over the Pelennor Fields, which were used for farmland, toward Osgiliath, the former capital of Gondor that Minas Tirith replaced. The name Minas Tirith means "The Tower of Guard" or "The Tower of Watch". It was originally named Minas Anor, "The Tower of the Sun", in connection with Minas Ithil, "The Tower of the Moon". Original - Gouche on watercolour board. Original art is also available.